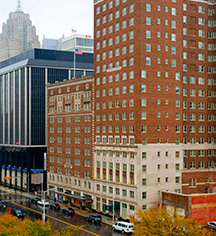 Within the city of Detroit, travelers are promised access to a myriad of activities. 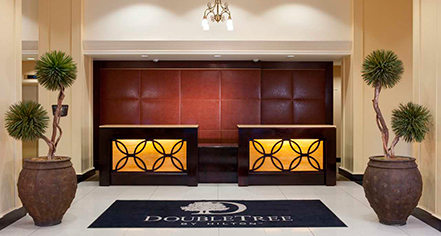 DoubleTree Suites by Hilton Hotel Detroit Downtown is centrally located in Detroit's metropolis, allowing guests to visit a variety of attractions at their leisure. Located within walking distance, guests can enjoy a visit to the homes of the Detroit Tigers, Red Wings, and Lions, or meander along the Riverwalk, which spans for three miles and features lush greenery, entertainment, and spaces for relaxation. With a variety of attractions to enjoy, guests are treated to endless exploration during their time in Detroit.